Dogs can get sore or injured at any time. 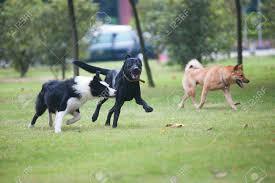 Numerous times when dogs come to me, a lot of the time they have been injured when a young dog is playing with an older dog or a larger dog playing with a smaller dog. Most times the dogs are left together all the time & when no one is there to watch over them. l believe supervising the play time & the time to be limited because as one gets tired this is when a problem may occur. If something happens try not to leave it longer than 48 hours before the dog is seen to. Injuries that occur usually are torn hip support muscles (Tensor) or the larger back muscles (Biceps Femoris). Broken Fibula’s , damaged Cruciates, Tibial Crest Fractures & even hip damage along with Toes damaged. At the Dog Therapy Centre we can deal with these issues.